Designing products is an awesome thing. Taking something from an early idéa, through concept definition and finally visualising the end product is a rewarding process. This is what we did with this lounge chair. We wanted to run through our product design process with a different product than what we had done before and chose a lounge chair. There are plenty of great chairs designed before us and we wanted to try something unique. The inspiration was to take a telephone chair from the 60s and re-imagine it for todays needs. A phone chair used to be a place to sit while calling. Yes, there was a time when the phone was fixed to one location. It was actually connected to the wall with a permanent cord - if you did not already know that. For that reason there was these chairs that typically included some sort of table to place the telephone in its permanent location. Today the needs are different. Phones are not connected with cords to the wall in a permanent location - well funny enough they are actually still connected to the wall since they continously have to be charged. But that is not the issue we want to solve here. 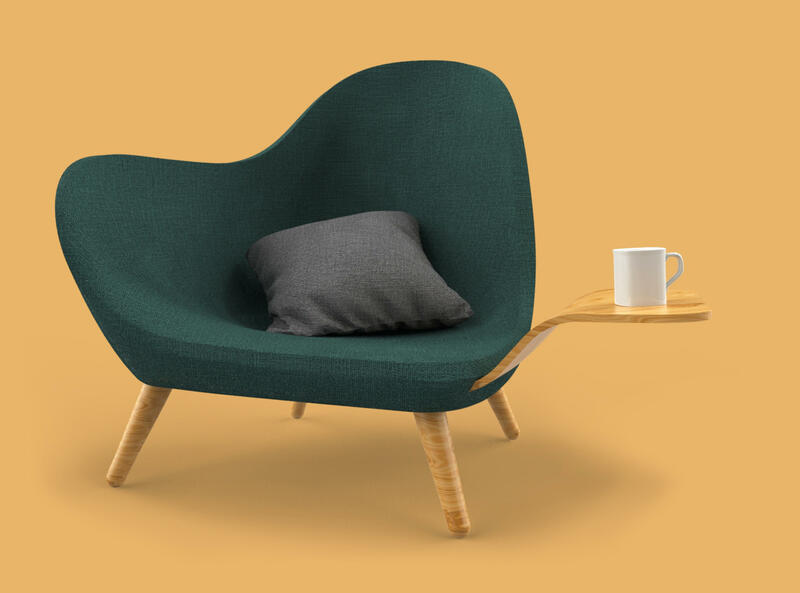 You have your lapop, tablet, magazine or coffee cup and want to relax while consuming your favourite social media in a comfy and good looking chair. This is what we wanted to address with this chair. See more about the lounge chair concept here.